Baldwin Pacific no.2 prepares to leave Pant, Brecon Mountain Railway, with a train for Dolygaer. 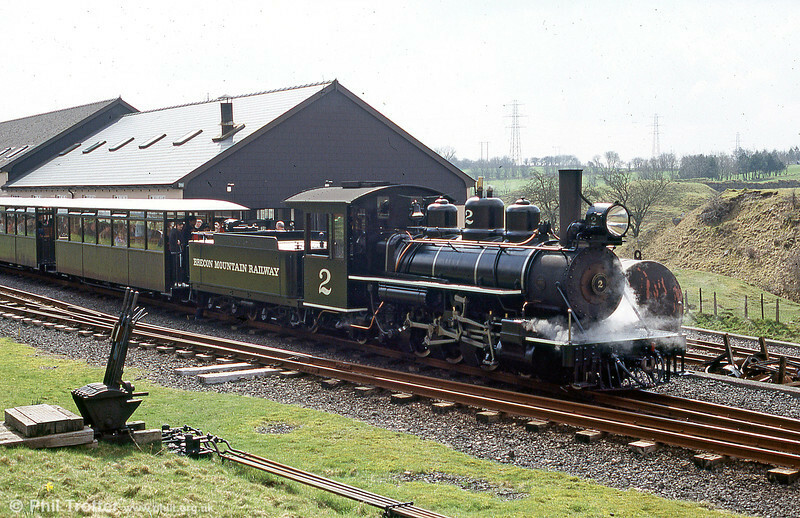 The BMR is built on the trackbed of the Brecon & Merthyr Railway which closed in 1964. 26th March 2005.